According to a statement by the online activist group Anonymous, a huge attack on the popular social networking site Facebook is planned for November 5th, aimed at "destroying" Facebook. Facebook keeps saying that it gives users choices, but that is completely false. It gives users the illusion of and hides the details away from them "for their own good" while they then make millions off of you. When a service is "free," it really means they’re making money off of you and your information. Anonymous has been known for publishing these threatening statements in the past. Earlier this year, the group announced "Operation Sony", an organized attack that later led PlayStation Network to be down for nearly 1 month. Late Monday, AntiSec, the hacking wing of Anonymous, broke into the computer systems of several law enforcement agencies all across the United States, leaking 10 GB worth of sensitive information onto the Internet. 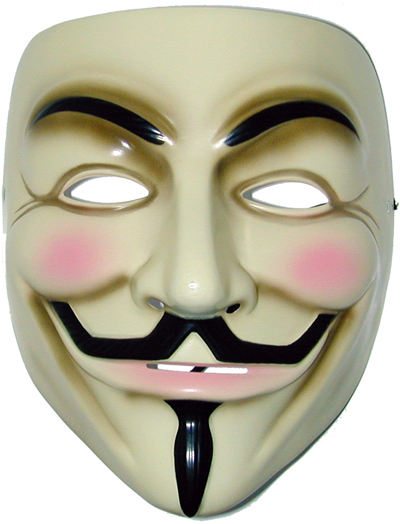 Anonymous is seen by most of the media as a criminal organization due to the concrete break-ins it has performed, yet its supporters argue that the group’s interventions will be decisive for the future accountability and transparency of the large businesses and governments Anonymous deems reckless. There’s the possibility that this threat isn’t actually real, since anyone calling themselves "Anonymous" could technically release a threatening statement. Moreover, it’s hard to believe that Facebook as we know it would actually be "destroyed", no matter how large the attack, leading me to believe that this statement might be more of a public stunt than an meaningful threat. On the other hand, Anonymous has shown in the past how much it is capable of: large-scale attacks causing damage to many people. Everything you do on Facebook stays on Facebook regardless of your "privacy" settings, and deleting your account is impossible, even if you "delete" your account, all your personal info stays on Facebook and can be recovered at any time. Changing the privacy settings to make your Facebook account more "private" is also a delusion. Facebook knows more about you than your family. http://www.physorg.com/news170614271.htmlhttp://itgrunts.com/2010/10/07/facebook-steals-numbers-and-data-from-your-iph…. The riots are underway. It is not a battle over the future of privacy and publicity. It is a battle for choice and informed consent. It’s unfolding because people are being raped, tickled, molested, and confused into doing things where they don’t understand the consequences. Facebook keeps saying that it gives users choices, but that is completely false. It gives users the illusion of and hides the details away from them "for their own good" while they then make millions off of you. When a service is "free," it really means they’re making money off of you and your information. UPDATE: Anonymous has now confirmed via their Twitter account that only some of anonymous members are organizing this operation against Facebook, and not all of Anonymous agrees with it.